By Alain Ramié. 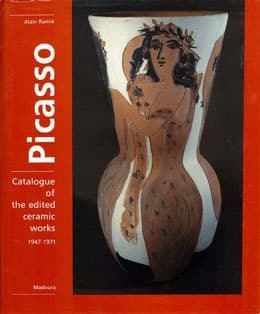 Catalogues the thousands of ceramic pieces created by Pablo Picasso between 1947 and 1971 that were produced with exclusive rights by the Madoura Pottery of Suzanne and Georges Ramié. Each piece produced is accurately described with date of creation by Picasso, sizes, creative process, colors and number of copies produced. 570 colored illustrations and 75 black and white illustrations.